Gas stations and convenience stores rank as some of the most popular and profitable franchises in the country, according to Entrepreneur. Today, there are over 100,000 gas station/convenience store hybrids across America, which bring in over $400 billion in annual revenue. 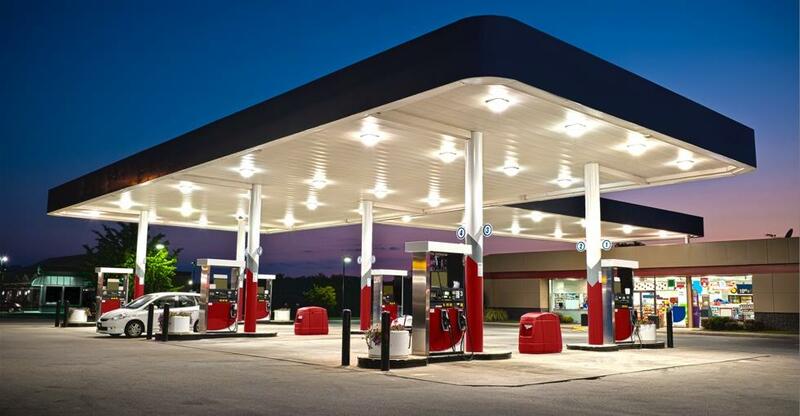 Purchasing a gas station franchise can eliminate some of the startup costs and headaches that come with opening a brand-new station. So if the numbers mentioned above fire up your engine, you may be wondering how to go about owning a gas station franchise in the first place. Here are a few key factors to keep in mind if you’re exploring the idea of purchasing a gas station franchise. Location is everything when it comes to gas stations. The cleanest, best advertised, and cheapest gas station still doesn’t stand a chance in an unpopulated area. This is not to say that gas stations outside of the metropolitan sprawl are destined to fail — in fact, rural states such as Wyoming, Nebraska and Iowa actually have the highest gasoline sales in the country. So what’s the secret? What is the ideal gas station location? It’s pretty intuitive if you think about it — gas stations near vehicle commuters will perform the best. Gasoline and convenience store items are not really services that people are willing to go out of their way to acquire, so you want to be the happy accident that your customers stumble upon. Historically, locations near highway exits and densely populated residential areas have proven to be profitable stations. Demographics — Who drives through the area? Explore local census data to get a feel for the age and income of commuters in the area. Crime — Check police records, talk to locals and do your research into the safety of your area. Whether or not it’s warranted, gas stations have a reputation for theft and burglary, and if you’re in an area marked by crime you might need to shell out for extra cameras or lights to deter nefarious activity. Vehicles — In a way, you’re serving the vehicle at the pump, not the person who drove it there. Think about the vehicles that are most likely to visit your gas station, and cater your services accordingly. Do you expect a lot of truckers that might require extra-wide entrances? Do you expect many diesel vehicles to come by? And so on. You’ve done the legwork, crunched the numbers, and found the perfect location. Now what? How do you actually go about buying a gas station franchise? Well, that’s where an online business marketplace comes in. BusinessesForSale is the world’s largest online business marketplace which lists over 70,000 businesses to buy. Once you’ve settled on the franchise or franchises in which you’re most interested, you’ll need to do your due diligence, including checking out all of the financials of the business. To do this properly, it’s important to retain the professional services of a tax or financial professional who can review the businesses’ previous years complete tax returns, including profit and loss statements and all other pertinent schedules. It’s also a good idea to have a legal representative review the purchasing contract as well as any existing legal agreements between the station and its product suppliers, etc. If you’re ready to fuel your entrepreneurial spirit and tap into the recession-proof business of owning a gas station, visit BusinessesForSale.com for a complete list of the franchises that are currently available. Mine our advice section for helpful insights on buying and selling businesses or contact us for more information.